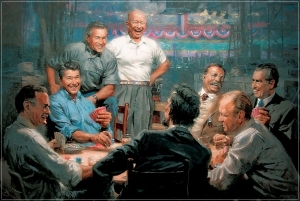 So I said to him, I know Abe Lincoln, and you ain't no Lincoln"
For those who study history --- you recall that despite the continuous attempts to quote Lincoln as a Democrat.... President Lincoln was a Republican President! So why doesn't President Obama use this famous Lincoln quote???????? ?